Albert Pagara of the Philippines will join Mark Magsayo in Pinoy Pride 41 this coming July 7 in Cebu. He will face the Indonesian boxer, Waldo Sabu. Albert Pagara is still a top prospect in the Philippines. He was a former IBF Inter-Continental super bantamweight and WBO Inter-Continental super bantamweight champion. Pagara has a record of 27 wins with 18 big victories by way of KO and has only 1 defeat. He is a former world title contender but was defeated by Cesar Juarez of Mexico last July of 2016 in a shocking defeat and delivered a lot of pain for Pagara. However, Pagara promises to come back and he successfully won his last fight against Raymond Commey last November 2016 via UD. On the other hand, Waldo Sabu of Indonesia is a 28 years old boxer with a record of 12W(2KO) with 7 losses. Sabu looks an easy opponent for Pagara, he is ranked no. 206 in boxrec while Pagara is at 26th. 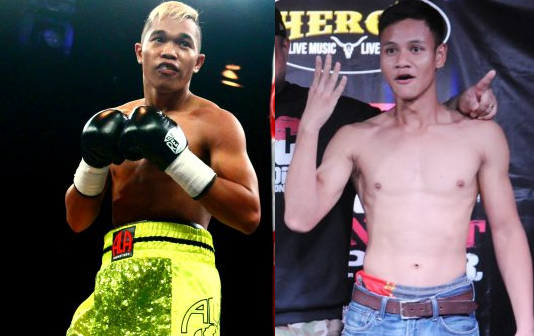 The Indonesian boxer lost against Juan Miguel Elorde in 2016 but won 5 of his last 6 fights.